Let’s say there was a monster loose in Pennsylvania and you caught it. Its days of wandering loose causing chaos and destruction were over. But what would you do with such a beast now? Would you kill it outright? Stop it from ever hurting anyone ever again? Or would you simply neutralize it – place it perhaps in the center of a labyrinth, continue feeding it, and in fact create a whole religion based on worshipping it? In the keystone state, we have just such a creature, and we’re going with the second option – the maze, nourishment and a cult. The monster is, of course, the Keystone Exams. And like the Minotaur of ancient myth, we’re building a bureaucratic prison in which to house it. Sure, we’ve spent billions of dollars on these unnecessary, badly written and biased graduation assessments. And, heck, it would just make more sense to stop doing something that isn’t working, wastes money and causes legitimate problems for students. When lawmakers originally came up with this plan… correction: when testing companies bribed federal lawmakers to force state lawmakers to enact this cockamamey plan – it was supposed to function as a graduation requirement. Pass these tests or no diploma for you. However, somehow Harrisburg politicians couldn’t get up the nerve to actually bar tens of thousands of worthy students from graduating when they had already proven they deserved it by passing 12 years of grade school. So after kicking the can down the road for more than 6 years, they came up with this solution. Make it a graduation requirement, but include a whole truckload of other options that could count instead. In short, we’re creating endless corridors of paperwork, placing the tests in the center and going on with our day. The good news: if students can make it through the labyrinth, they never need to take or pass the Keystone Exams! The bad news: we’re still paying millions of dollars to support these tests and we’re still forcing our teachers to make all instruction about them. The bill to circumvent the Keystone Exams by providing multiple means of getting a diploma was passed by the state house and senate. Gov. Tom Wolf is expected to sign it into law this week. Achieve an acceptable score on a WorkKeys assessment, an exam administered by the ACT which assesses workplace skills including math, reading comprehension and applied technology. To sweeten the pot even further, this won’t even go into effect until the 2021-22 school year. So in four years, high school seniors will be racing to submit their letters of college admission, or letters of employment or SAT scores or whatever to prove they actually deserve that diploma. But that will not be the end of it. Just because victims thrown into the labyrinth have an easy path to avoiding the monster doesn’t mean the monster won’t affect them. Teaching evaluations are still based on test scores. Schools evaluations are still based on test scores. This continues the tremendous state pressure for local districts to make instruction all about testing. Kids don’t have to pass the test, but their everyday classroom experiences will still be largely determined by these test. Heck, many districts will probably “voluntarily” decide to make passing the test a graduation requirement just to force their students to take them seriously. So anyone who’s out celebrating that the Keystone Exams are dead is premature. State Sen. Andy Dinniman, at least, understands this. “Remember, the Keystones have been delayed and the graduation requirement associated with them has been stopped, but they will still be required in Pennsylvania schools for federal accountability,” he said in statement. Dinniman, a Democrat, is minority chair of the Senate Education Committee. It’s a problem all too typical in the state. Most lawmakers are too timid to take any type of real stand. They’d rather support some half-measure so they can claim to be in favor of either or both sides of an argument. For instance, consider the time it takes to finish the tests. Parents, teachers and students have complained about how these assessments waste academic time that could be better used to teach the necessary skills needed to pass. So Gov. Wolf cut the Keystone Exams and Pennsylvania System of School Assessment (PSSA) test by a total of almost 2 hours a year. However, at the same time, his administration suggests students take a series of additional pretests that are supposed to predict success on the PSSA or Keystone Exams – tests such as the Classroom Diagnostic Tools (CDT) assessment. If schools follow the state’s instructions and give students this exam in reading, math and science 3 to 5 times a year, that’s an additional 50-90 minutes per test. That comes to 22.5 hours of additional testing! So 22.5 hours minus 2 hours equals… NOT A REDUCATION IN TESTING! But it gives lawmakers plausible deniability. They can claim to be cutting testing while actually suggesting we increase it. And we see the same sort of thing here. Lawmakers can claim to be reducing the power of the Keystone Exams while still enshrining it as the driving force behind all instruction in the state. What we need are leaders and not politicians. We need people willing to take a stand and do what’s right even if that puts them at odds with the moneyed special interests. That takes more than polls and market analysis. But there’s no test for that. There has never been more opposition to high stakes standardized testing. Yet the corporate controlled media is pretending that the resistance is over. Parents are refusing to let their kids take these tests at the same or even greater numbers than ever. Fewer states require high stakes tests as graduation exams and/or use them to evaluate their teachers. Across the nation, states are cutting the size of standardized tests or eliminating them altogether. And more state legislatures passed laws explicitly allowing parents to opt their children out of the tests. The Opt Out Movement is not “Anti-Test.” It is anti-high stakes standardized test. It is against the federal government forcing states to use corporate written, corporate graded and corporate remediated standardized assessments. It is against the federal government requiring each state to participate in a corporate boondoggle that not only wastes billions of tax dollars that could be better spent to educate children but also unfairly assesses their academic progress and feeds the push to privatize public schools. Most people against high stakes standardized testing, however, have no problem with authentic teacher-created assessments. And that’s just the title! The author Alyson Klein further misdirects readers by conflating opt out rates and test resistance. She implied that the only measure of opposition was the percentage of students who opt out. However, as noted above, there are multiple measures of resistance. Moreover, few states advertise their opt out rates. Especially after the movement began, states made that information harder to come by to dissuade more people from joining it. Of those states where information is available, Klein puts the most negative possible spin on the facts in order to make her point – a point that it seems to me is not at all justified. In New York, Opt out numbers remained at approximately 20% – the same as they have for the past three years. And New York is one of our most densely populated states. That percentage represents more than 225,000 parents across the Empire State who refused to let their children take the tests despite threats from many administrators and district officials for doing so. In New Jersey, opt out rates were marginally lower this year than last year. They went from 7% to 5%. But once again New Jersey is a populous state. That percentage represents about 68,500 students. In addition, this is after massive opt outs three years ago that forced the state to change its federally mandated assessment. Testing boycotts pushed the state education association to get rid of four PARCC assessments and allow students who fail the remaining two tests to take an alternative assessment. And this is in a state where there is no law explicitly allowing parents to opt out of the tests. I don’t know if I’d call that running out of steam. Moreover, opt out rates have increased in other states for which we have data. For instance, test refusal is on the rise in heartland states like Minnesota. And it nearly doubled in Utah over the past two years to about 6%. In some schools in the Beehive State, rates are much higher. According to the Salt Lake Tribune, 1 in 5 students in the Park City school district refused to take the tests. Though my own state of Pennsylvania has been mum on last year’s opt outs, from my own personal experience as a teacher in suburban Pittsburgh, I never had more students boycott our federally mandated standardized test than I did last year. There were so many they had to be quarantined in a special room. Moreover, an increasing number of parents ask me about the issue, express concern and wonder about their rights. So even when examining just the rate of opt out, I don’t see any reason to assume the movement is slowing down. On the contrary, it is picking up steam with multiple victories. As recently as 2012, half of all U.S. states required high school exit exams in order for students to graduate. Today that number has dropped to 12. The reason? Exit exams don’t raise student achievement – they raise the dropout rate. At least that’s what The National Research Council of the National Academy of Sciences tells us. Another positive sign – seven states have stopped using value added measures (VAM) to judge teachers. This is the highly controversial practice of assessing educators based on their students test scores – a practice that has never been proven fair to teachers or effective in helping students learn. Six states have dropped this requirement altogether: Alaska, Arkansas, Kansas, Kentucky, North Carolina and Oklahoma. Connecticut still gathers the information but cannot use it in the teacher’s “summative rating.” And other states like New Mexico still use value added measures but have reduced the weight given to student test scores. Moreover, let’s not forget how many states have slashed the size of the high stakes tests they’re giving to students. After the recent wave of opt outs and public outcry, state education departments have ensured that testing at least takes up less time. This includes New York, Maryland, New Mexico, California, Minnesota, Kentucky, Tennessee, Florida, Washington, Illinois, West Virginia, Hawaii, Oklahoma, Ohio, South Carolina, Pennsylvania and Texas. Some of this is because the PARCC test used in 21 states was slashed by 90 minutes. And when it comes to opt out, two more states – Idaho and North Dakota – now have explicit laws on the books allowing parents to refuse the test for their children – in whole or in part. That brings the total number of states up to 10. It would have been 11, but Georgia Governor Nathan Deal, a Republican, vetoed an opt-out bill. The federal government still wants us to penalize these districts for non-participation in flagrant violation of its authority. But as more states respect parents’ rights on this matter, it will be increasingly difficult for the U.S. Department of Education to continue trampling them. And speaking of the federal government, some states are taking advantage of the wiggle room in the federal law that governs K-12 education – the newly passed Every Student Succeeds Act (ESSA) – to allow students to avoid standardized testing entirely. Some states are implementation performance assessments instead. Kids can use a portfolio of classwork to demonstrate learning instead of getting a grade on a corporate-written standardized test. New Hampshire, for instance, has pioneered this approach with a program that now involves half the state’s districts. These are not the signs of a movement that is slowing to a crawl. It just makes sense that some of the rhetoric of the movement may have become less forceful with the enactment of the federal ESSA. Many had hoped for a better law – one that did away with federally mandated testing altogether. And that could still happen sooner than many think. Next year it will be time to reauthorize the law again. It took Congress six years to reauthorize the federal education law last time. Perhaps our duly elected representatives can be coaxed into doing their jobs a bit quicker this time. There is already some proposed legislation to make positive changes. Sen. Jon Tester (D-Mont.) and Rep. Krysten Sinema (D-Ariz.) introduced legislation last year to replace annual assessments with grade-span tests. The United States is, after all, one of the only countries in the world – if not the only one – to require students be tested every year. These proposed changes are not nearly enough, but they’re a step in the right direction. One of the biggest obstacles to abolishing federally mandated testing last time was that some of the oldest and most well funded civil rights organizations opposed it. Many of them get their money and support from the same billionaires who profit off of the standardized testing and privatization industries. However, that support for testing was short lived. Already the National Association for the Advancement of Colored People (NAACP) has revoked it returning to a call for opposition to testing. If our nation survives the many crises of the Donald Trump administration, there is no reason our future cannot be bright. We have the support, we have the tools, we just need the chance to do right by our children. And the pendulum is swinging back our way. The NAACP Once Again Opposes High Stakes Standardized Testing! The nation’s oldest and largest civil rights organization has come out against high stakes standardized testing. The brief stated that the organization has concerns about using a single standardized test as a graduation requirement, as a prerequisite for advancement to the next grade or otherwise blocking students from receiving various educational opportunities. In its place, the organization favors the use of multiple measures, which may include standardized testing but should also include other assessments such as student grades and teacher evaluations. This is a huge policy shift from where the organization was just three years ago. In 2015, the NAACP along with several other larger and older civil rights groups changed its position against testing to one in favor of it. At the time, Congress was getting ready to pass a new education law, the Every Student Succeeds Act (ESSA). The civil rights organizations – many of whom had just asked Congress a year earlier to reduce standardized testing – suddenly demanded it be kept a federal accountability standard and that taking these tests was, itself, a civil right. At the time, many education activists were shocked by the turnaround obviously coerced by the standardized testing and school privatization industry. For instance, see this email from Teach for America alum Liz King giving organizations an ultimatum to sign. 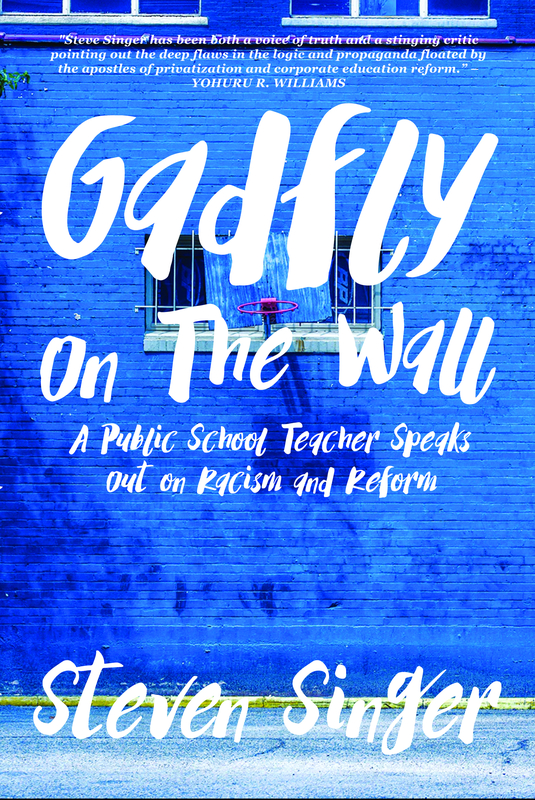 The new issue brief is more in-line with the NAACP’s history of opposition and activism against corporate education reform. Once again we have the NAACP that advocated against standardized testing in the Debra P v. Turlington case (1981), where the Florida legislature made passing a single standardized test a graduation requirement. The NAACP supported black students who had a disproportionate failing rate on the test and claimed the Florida legislature was violating the Fourteenth Amendment. The courts eventually ruled against the plaintiffs but the issue has remained contentious to this day. The new issue brief isn’t just a return to form. It builds on concerns that are still plaguing our schools. Many would argue that the new batch of Common Core aligned tests being used by states do not meet this requirement. They do not test what students have been taught – they test students’ ability to spit back the same kind of thinking of the person who wrote the test. Moreover, special needs students are rarely afforded the same accommodations on federally mandated standardized test day that they are allowed during every other assessment they take during the school year. This, itself, is a nationwide problem. Administrators are pressured to make district policies “data-driven” and thus deny students the chance to take advanced classes or go on special field trips because of performance on one multiple choice test. The NAACP certainly could go farther in its criticism of high stakes testing. Organizations like the Journey for Justice Alliance (JJA), a group made up of 38 organizations of Black and Brown parents and students in 23 states, have never wavered in their opposition to high stakes standardized testing. In 2015 while the NAACP and other well established groups defended testing, JJA was joined by 175 other national and local grassroots community, youth and civil rights organizations asking Congress to stop requiring standardized tests at all. Standardized testing violates students civil rights – especially the poor and students of color. It is nice to see the NAACP returning to the activism on which it built its justly deserved reputation. Many states are relying on a single examination to determine decisions (such as graduating from high school or promoting students to the next grade), despite the fact that leading education experts nationwide recommend multiple measures of student performance for such decisions. While these “high-stakes” tests serve an important role in education settings, they are not perfect and when used improperly can create real barriers to educational opportunity and progress. Furthermore, one-time, standardized tests may have a disparate impact on students of color, many of whom have not had the benefit of high quality teaching staff (urban school districts have the greatest challenge in attracting and keeping high qualified teachers), adequate classroom resources, or instruction on the content and skills being tested by the standardized tests. Considering additional measures of student achievement, such as grades and teacher evaluations, adds not only to the fairness of a decision with major consequences for students but also increases the validity of such high stakes decisions. Due to our concerns about the fairness of such testing, as well as the potential impact these tests have on the lives of our children, the NAACP has supported legislation in the past that would require that States follow the recommendation of the National Academy of Sciences and the National Research Council of the National Academy of Sciences. Specifically, the bills require that High Stakes decisions be based upon multiple measures of student performance and, when standardized tests are used by schools and school districts, that the tests be valid and reliable, measure what the student was taught and provide appropriate accommodations for disabled children. Furthermore, the NAACP is opposed to individual students being unfairly denied critical educational opportunities because of their performance on a single, standardized test. Special thanks to Dr. Julian Vasquez Heilig who first released the issue brief on his education blog. It’s not the size of the tests, it’s how you use them. And that’s kind of the problem with Gov. Tom Wolf’s new proposal for Pennsylvania public schools. Wolf wants to reduce the amount of time students are taking standardized tests, but he seems to have little problem using those tests to hold schools accountable for all kinds of things that are beyond their control. The proposal released today applies only to the Pennsylvania System of School Assessment (PSSA) tests – those taken by students in grades 3-8. Keystone Exams taken by high school students are unaffected. It would cut one of three reading sections and one of three math sections – two total. Wolf also wants to cut some questions from one of the science sections. Such a move is estimated to eliminate 48 minutes from the math test, 45 minutes from the reading test and 22 minutes from the science test. However, judging from my own students, these times vary considerably depending on the individual taking the tests. I’ve had 8th grade students finish a PSSA section in as little as 5 minutes or as much as two hours. Most schools give either a section a day or two in one day. Therefore, this proposal probably translates to 1 to 2 fewer days testing in most districts. Look I don’t want to seem ungrateful here, but these suggested modifications are little more than fiddling around the edges of a massive problem. Yes, it will be helpful to reduce testing times, but this does very little to address the fundamental problems with test-based accountability in the Commonwealth. At best, this proposal will allow students to spend two more days a year learning. Assuming most districts don’t use that extra time for test prep, that IS a good thing. But tacitly committing students throughout the state to taking these tests almost guarantees that test prep is exactly how these additional days will be used. The problem with standardized testing isn’t just the number of raw days it takes students to complete the tests. It is how the tests deform the entire year-long curriculum. Students don’t just learn anymore. They learn what’s on the test – and anything else is purely optional. Regardless of the size of the assessments, they are still being used to sort and judge students, teachers and schools. Shortening their length does nothing to address the fundamental unfairness of the evaluations. Rich white kids still tend to have high scores and poor minority kids still tend to have low ones. At best, they reveal structural funding disparities between poor and wealthy districts. At worst, the cultural bias inherent in the questions favor those from dominant, privileged ethnicities while punishing those who don’t fit the standard. This is true whether the test takes one day or 100 days. We should not be using standardized testing to meet federal accountability standards. Period. The federal Every Student Succeeds Act (ESSA) contains provisions to circumvent them. States are supposed to be given leeway about testing. They may even be able to replace them with projects or other non-standardized assessments. THAT’S what Wolf and the Pennsylvania Department of Education should be exploring – not half measures. To be fair, the state Department of Education is attempting reform based on the ESSA. This year, the department introduced Future Ready PA, a new way of using test scores and other measures to assess school success. To its credit, The Index does place additional emphasis on academic growth, evaluation of school climate, attendance, graduation rates, etc. However, for my money it still gives far too much importance to standardized testing and test prep. Like reducing the size of the PSSAs, it’s a positive step but won’t do much to get us to our destination. Neither measure will have much impact on the day-to-day operations of our public schools. Districts will still be pressured to emphasize test prep, test taking strategies, approaches to answering multiple choice questions, etc. Meanwhile, critical thinking, problem solving, and creativity will still be pushed to the side. Moreover, since schools and teachers will be assessed as successful or not based largely on these test scores, districts will be under tremendous pressure to give countless practice tests throughout the year to gauge how well students are prepared for the PSSAs. The state will still be providing and encouraging the optional Classroom Diagnostics Tools (CDT) tests be taken several times in reading and math throughout the year. Trimming off two days from the PSSA will affect that not at all. In addition, today’s proposal only applies to the PSSA. While that assessment is important, the Keystone Exams given to high school students are even more so. According to existing state law, passing the Keystones in Algebra I, Literature and Biology are required in order to qualify for a diploma. However, that condition has yet to go live. So far the legislature has continuously pushed back the date when passing scores become graduation requirements. The Governor and Department of Education should be proposing the elimination of this prerequisite before anything else. Other than education funding and perhaps charter school accountability, it is the most important education issue before Commonwealth lawmakers today. Don’t get me wrong. The Democratic Governor is somewhat hamstrung by the Republican-controlled legislature. Partisan politics has stopped lawmakers from accepting Wolf’s more progressive education measures. Though Wolf has gotten Republicans to increase education funding by hundreds of millions of dollars during his term, K-12 schools still receive less than they did before the previous GOP governor’s administration. Moreover, there have been absolutely zero inflationary increases to keep up with the rising cost of doing business. Pennsylvania schools receive less funding – whether you adjust for inflation or not – than they should, and that has a real world impact on our public schools. Moreover, how that money has been allocated by the legislature still – even with our new better funding formula in place – benefits wealthy districts more than poor ones. If you want to talk about accountability, that’s where the majority of the issue belongs. And primarily it’s out of Wolf’s hands. One can understand why he is proposing changes where he can and trying to do whatever good is possible given the political climate. Shortening the PSSA tests would benefit our students. It is a step in a positive direction. However, it is far from solving our many education problems. The biggest roadblock to authentic school reform is a legislature that refuses to do anything but the absolute minimum for our neediest students.